Taxpayers get often confused when the question arises if he or she can claim the benefits of House Rent Allowance (HRA) and home loan at the same time or not. There are no legal restrictions in Income Tax Laws for availing such benefits. It allows you to claim various tax benefits, concerning the house occupied by the assessee – whether you own it or taken on rent. Stay tuned to know more about Benefits of HRA and Home Loan be Claimed Simultaneously? The salaried person who receives a certain amount as HRA from his employer can claim the tax benefit of house rent allowance (HRA). So it’s understood that a self-employed person or a salaried person who does not receive any HRA cannot claim the benefit of HRA. The employee is paying rent for the residential house property occupied by him. The rent paid for the residential property which is held by your parents, siblings or any other person is not entitled to get the benefit of HRA. It does not matter even if they are dependent on you. The employee cannot claim the benefit of HRA if the rent paid is for the accommodation owned by him. Similarly, you cannot claim such benefit if the rent is paid to the co-owner of the jointly owned residential houses. But there is a possibility of claiming HRA benefit on the accommodation wholly owned by you. If the property owned by you is given to your employer on lease and the same has been let out to you by your employer. 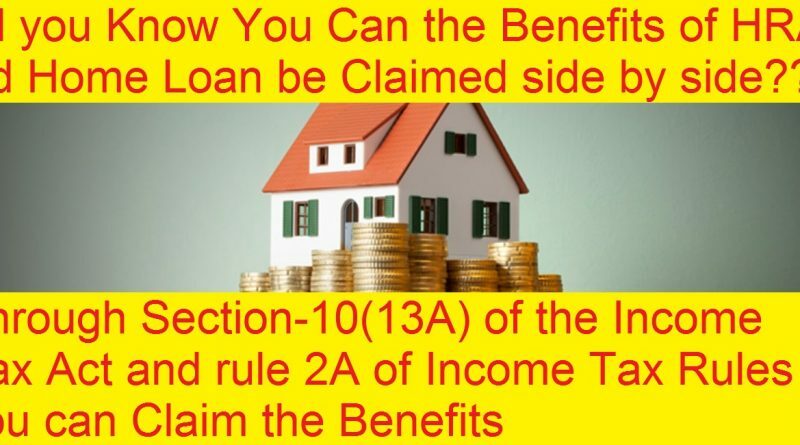 One can avail tax benefit on let out a property in the form of 30% standard deduction, as well as interest paid for money borrowed for such property. 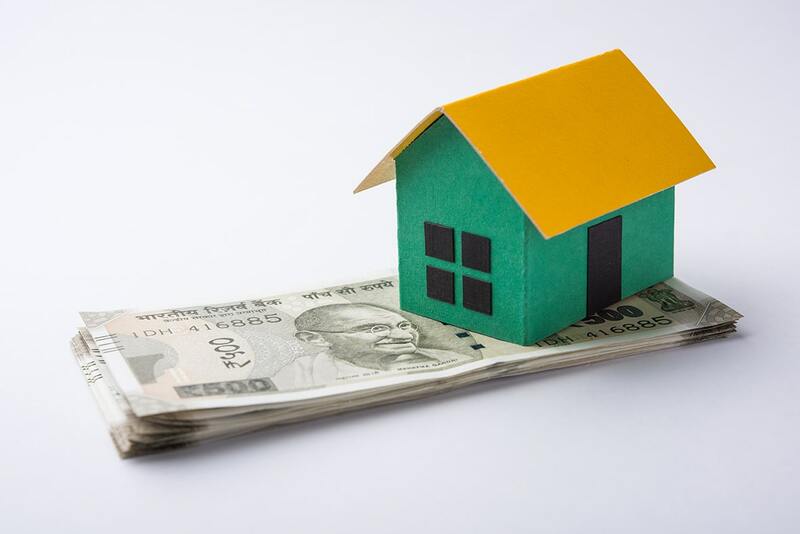 If the home loan is taken from individual institutions, then the benefit can be availed for a residential property up to Rs 1.50 lakh in a year (under Section 80 C for repayment of the home loan). For interest paid on home loan the tax benefit in respect of self-occupied property is restricted to Rs 2 lac in a year (under Section 24(b). One essential condition to be satisfied to avail benefits under sec 80 C and 24(b) is that the house should be complete and the possession is with you. If you are living in a house on rent and take a home loan on another property – you can claim tax even if both the properties are situated in the same city. Income tax laws allow you to own more than one house, but you have to opt for only one property as self-occupied, and the other house/s owned by you and also self-occupied are treated as let out. So the taxpayer can claim tax benefit on home loan for one owned self-occupied house, provided he has not received any rent in respect of the house owned by him while occupying another rented house. Note: The latest Budget proposals on 1st February 2019 provide for a taxpayer to have two self-occupied properties; the law also appreciates the possibility of one person occupying two houses at the same time. Hence as long as the conditions for claiming benefits are complied with under the respective sections, one can legitimately claim the benefits on HRA and Home Loan. How Tax Evaders are Now Trapped by I-T Dept’s New Rules? A strategically aggressive enhanced action plan to prosecute serial dodgers ! August 7, 2017 Rebecca Ghomes Comments Off on How Tax Evaders are Now Trapped by I-T Dept’s New Rules? 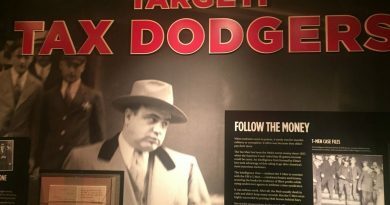 A strategically aggressive enhanced action plan to prosecute serial dodgers !